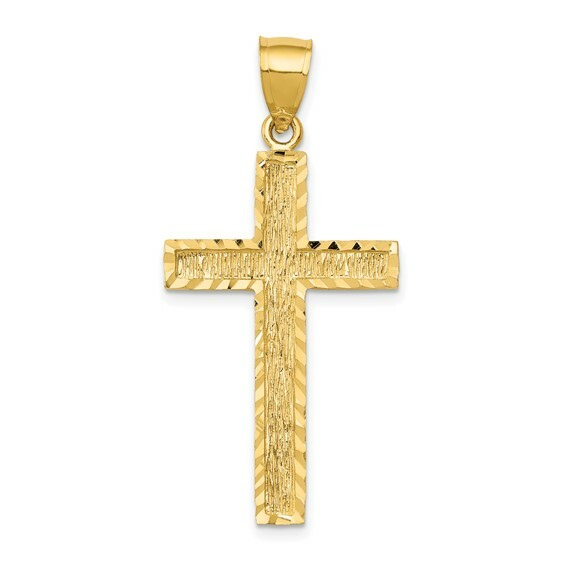 This 14kt yellow gold diamond-cut cross pendant has a brushed center. Item size: 1 1/4in x 3/4in. Weight: 2.0 grams. Textured back. Fits up to a 3mm wide chain. Made in the USA.